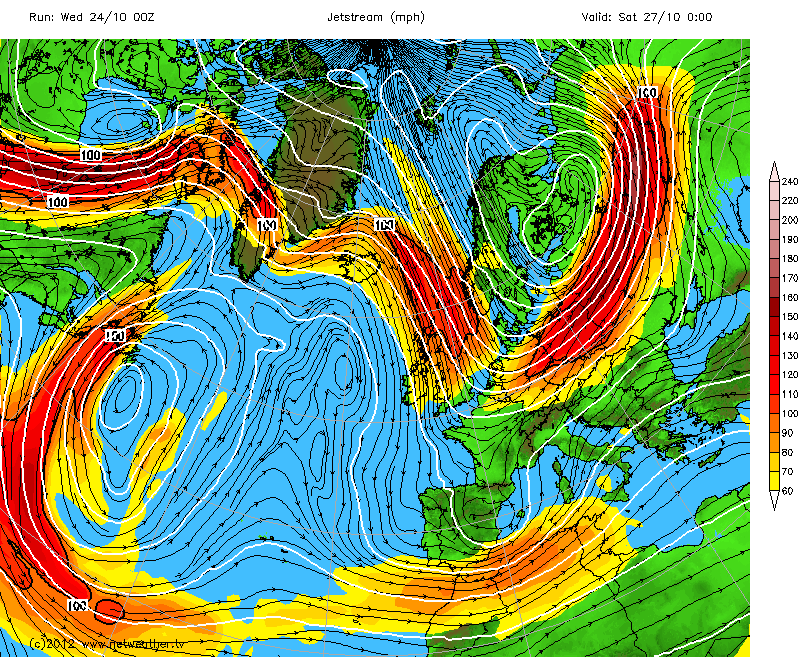 Look at the jetstream forecast chart below for Saturday 27 October. This shows a 100mph jetstream blowing from the North across much of the UK. 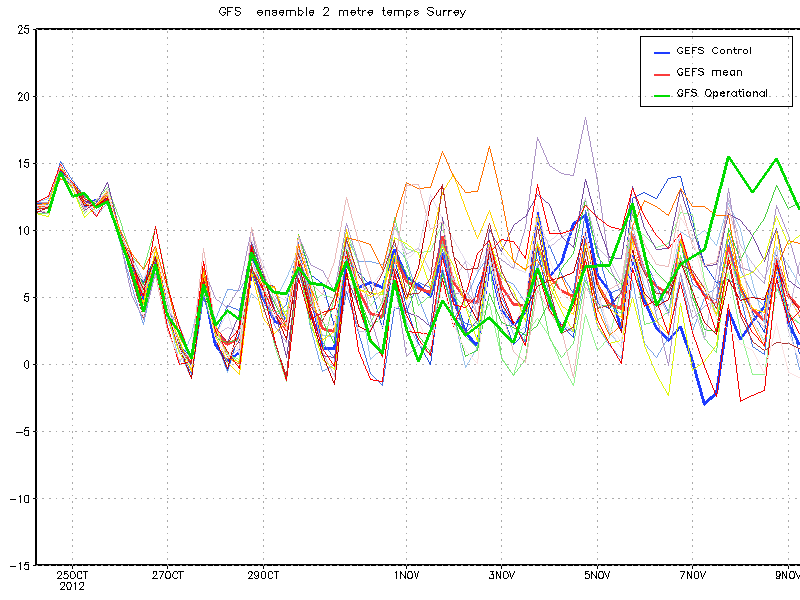 This means cold air from the polar regions will take less than ONE DAY to reach the UK! 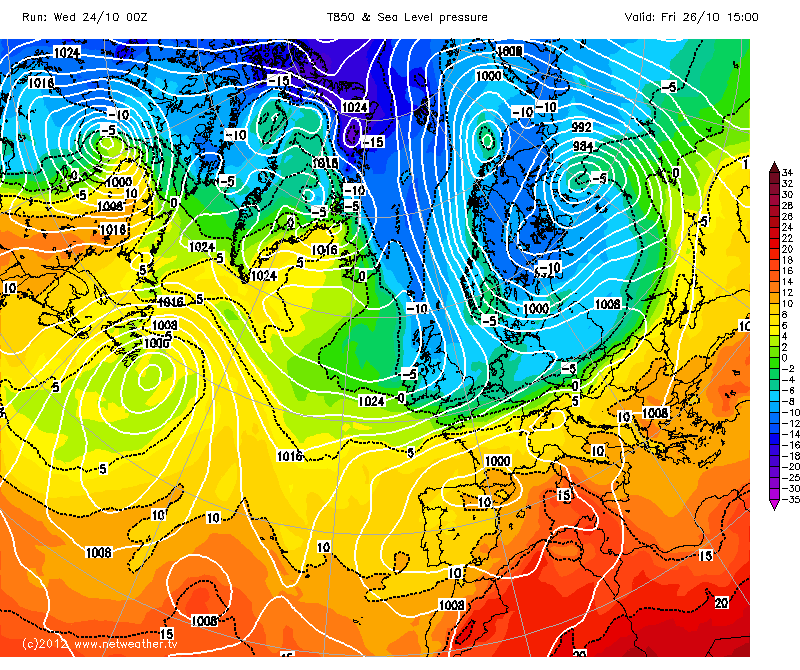 This will give it very little time to warm up, other than picking up some moisture over the North Atlantic ready for snow over the Scottish hills. A very chilly thought!